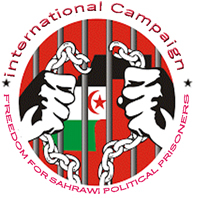 Chahid El Hafed (Sahrawi refugee camps), Feb 07, 2018 (SPS) - Sahrawi President, Secretary General of Frente POLISARIO Brahim Ghali has received the delegation of the African Court on Human and Peoples' Rights, on a working visit to the Sahrawi Arab Democratic Republic (SADR) since Monday. "Gali welcomed the visit of the African Court's delegation to SADR institutions, wishing them pleasant stay in the Sahrawi Republic and refugee camps,"
In a statement to the press after the audience, the president of the African Court of Human and Peoples' Rights, Sylvain Ore said that the visit "aims at increasing awareness of the importance of the African Court, especially for states that ratified the Protocol of its creation." The African Court's delegation arrived Monday for a three-day visit to the Sahrawi Republic, during which they met with the Sahrawi Justice minister, the speaker of Sahrawi Parliament, the National Human Rights Commission, representatives of the civil society and visited SADR institutions.